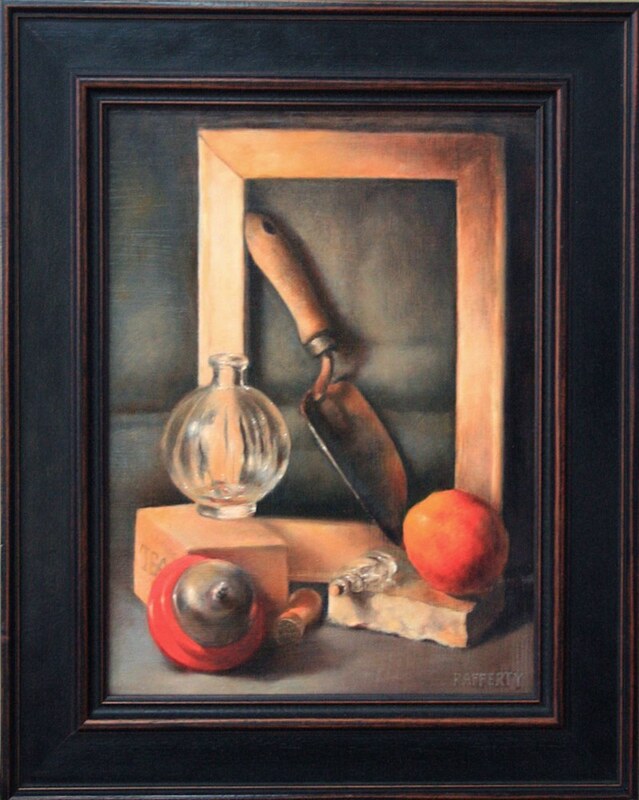 The original oil painting "Still Life with Red Bell and Orange" by Jason Rafferty. 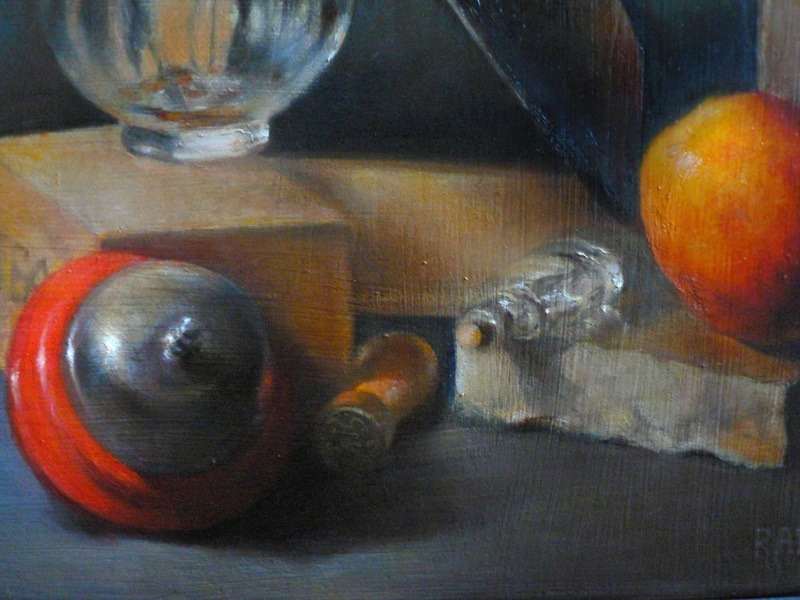 "Still Life with Red Bell and Orange" is an original oil painting by Jason Rafferty. The media is oil on panel hand-prepared with traditional chalk gesso, and it measures approx. 17x22" including the frame. It was painted in Asheville, NC at the Cotton Mill Studios. The piece comes with a custom frame created with an Italian moulding and assembled in Asheville, and comes ready to hang. 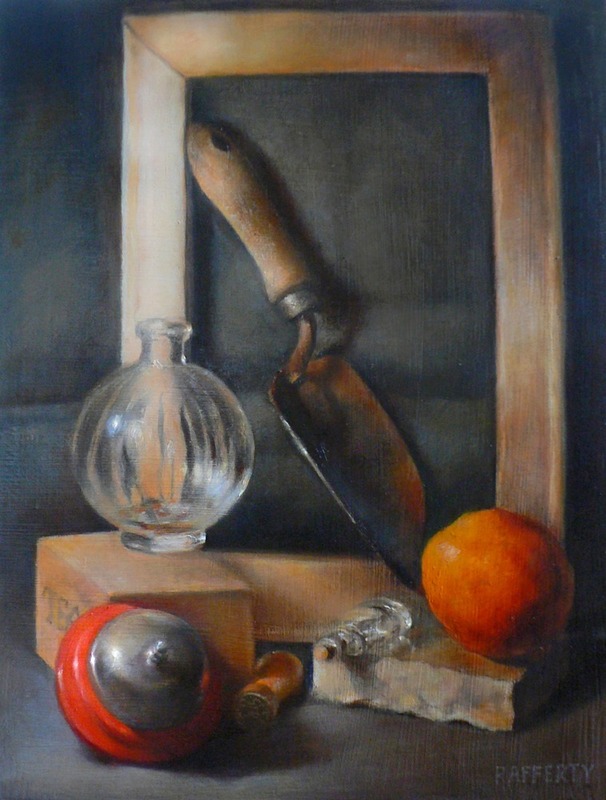 "This piece is one of my more elaborate early still life paintings created in John Mac Kah's studio. I enthusiastic about being a versatile painter, and here I wanted to explore painting a variety of textures and surfaces: metal, glass, wood, plastic, marble, fruit. The neutrality of the background plays against the heat of the reds and oranges in this composition." 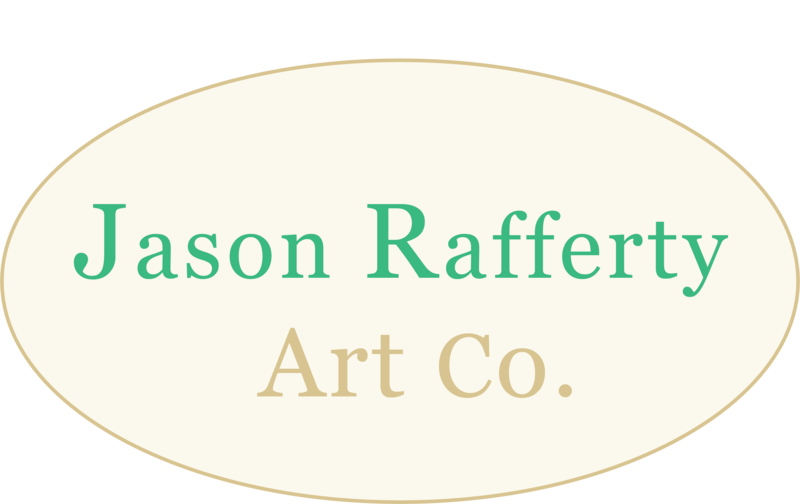 Jason supports local businesses in Asheville, NC with his printing and framing. Jason uses the finest quality oil paints and constructs his paintings archivally, with longevity in mind. This piece is painted on a hand-prepared traditional chalk gesso panel, the same stable, luminous surface that the classical masters of oil painting have painted on for some five hundred years. He is scrupulous with quality checking, and is focused on delivering you a quality piece of art that can be enjoyed for generations.